One owner versatile split floor plan, solid surface counter tops, raised panel cabinets. Transoms above doorways distribute ventilation. Vaulted ceiling in living room, garden tub, roof replaced and exterior repainted in 2015. 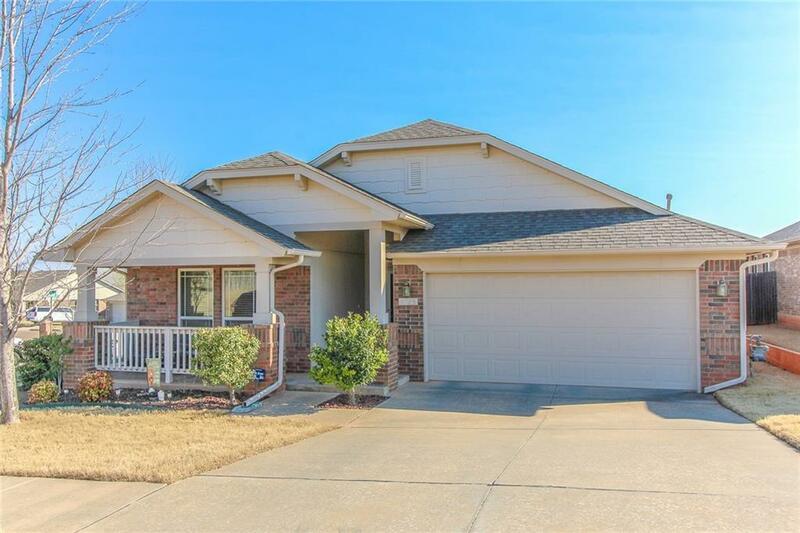 Security system, walk in shower, sprinkler system, wood blinds on all windows. Covered front porch, large corner lot, fenced back yard.